Sustainability Management and student group Students of Sustainability are sponsoring a free screening of the eye-opening documentary “River Blue” on Tuesday, Oct. 16, at 7 p.m. in Watson Theater. The event is free and open to the public, with entry beginning at 6:30 p.m.
“River Blue” follows international river conservationist Mark Angelo as he spans the globe to infiltrate one of the world’s most polluting industries: fashion. Clean water supporter Jason Priestley narrates this examination of the fashion industry’s destruction of rivers, its effect on humanity, and the solutions that inspire hope for a sustainable future. 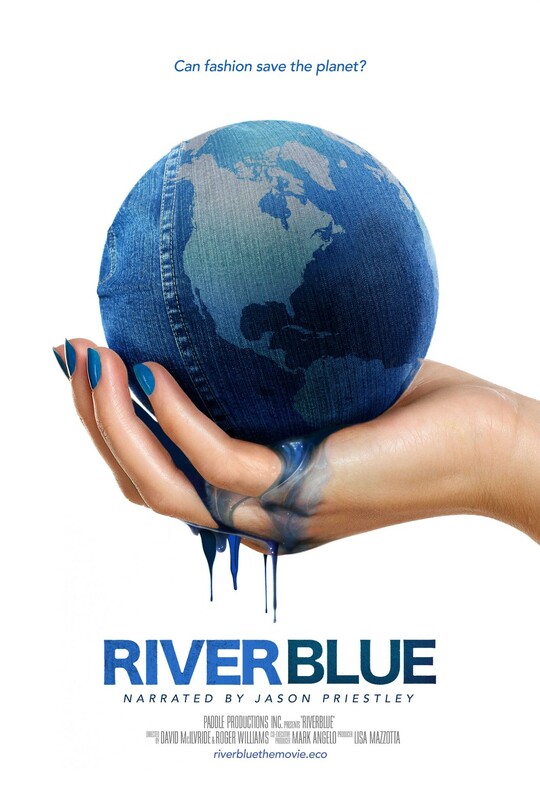 The film brings awareness to the destruction of some of the world’s most vital rivers through the harsh chemical manufacturing processes and the irresponsible disposal of toxic chemical waste associated with clothing production—most notably denim—and urges significant change in the textile industry from the top fashion brands that can make a difference. The screening of “River Blue” is part of Campus Sustainability Month at Syracuse University. Sustainability Management is hosting several events throughout the remainder of the month, including the New York State Apple Crunch on Wednesday, Oct. 24, from 11 a.m. to 1 p.m. in the Schine Student Center. Ending the month, Sustainability Management staff will be in E.S. Bird Library on Wednesday, Oct. 31, from 11 a.m. to 1 p.m. to engage people to play “Fact or Fiction: Scary Sustainability Facts” and learn ways to help save the planet. For more information on Campus Sustainability Month and other sustainability efforts on campus visit sustainability.syr.edu/.